To encourage you, I’m starting a series on eating greens for breakfast. 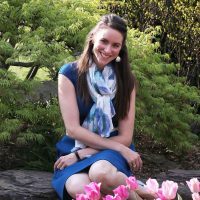 There are so many ways to do this, and surprise! not all of them are even savory! I’m going to share my very favorite breakfast recipes with you, things I have eaten over and over for the last year or two, starting with an incredibly easy, flavorful version of scrambled eggs. Scrambled eggs are not novel. 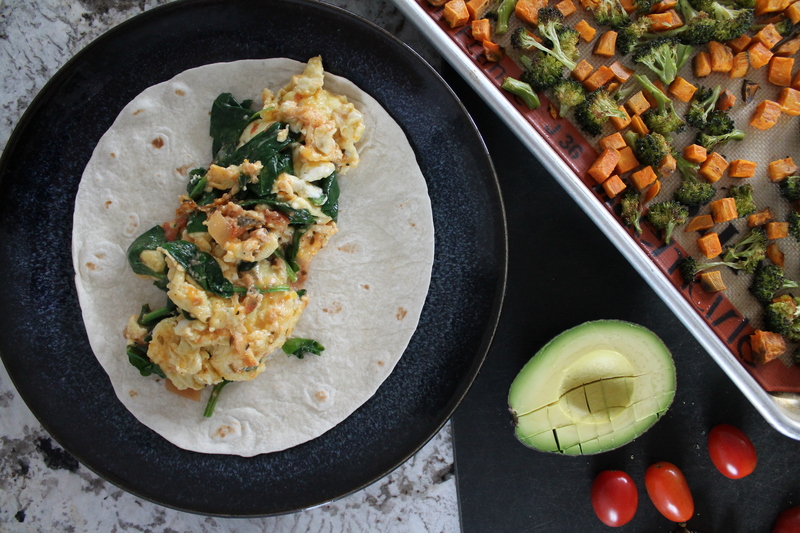 And maybe you’ve been throwing vegetables into your scrambled eggs for ages, or turning them into powerhouse burritos, giving a little nutrient boost to your protein-filled morning. If so, then this will be a softball. I started making this version of scrambled eggs when Jake was just a little tyke. I was pretty full of myself, thinking I had solved the world’s children-won’t-eat-veggie problems by tossing bits of curly kale and a spoon of salsa into my son’s scrambled eggs. It was a sad day when he got wise and started demanding “plain” scrambled eggs. But I still make this excellent breakfast for myself, and it couldn’t be easier! Now, I know everyone has their own way to make scrambled eggs. Some of you go low and slow, some of you let the eggs sit for several minutes before stirring…I like to go with a buttered pan, high heat, and constant stirring. Whisk two large eggs with a splash of milk, salt, and pepper. Also, rip up a handful of greens (predictably, I used spinach here, but kale, and really any dark greens you may have on hand, will be great, too! ), and set them aside together with a container of your favorite (preferably garlicky, possibly spicy) salsa and a small pile of shredded cheese (any kind, though I love cheddar). Heat a small pat of butter in a medium skillet over high heat, swirling the pan until the bubbly butter covers the entire bottom. Pour the eggs in. If they sizzle, that’s perfect. Using a rubber spatula, immediately scrape the bottom of the pan. Keep stirring and folding the eggs until they are mostly chunky but still glistening wet. Turn the heat to low. Pick up the pan if you need to so the bottom won’t burn while you add in your greens, a generous spoonful of salsa (maybe 2 tbsp. ), and the cheese. Return the pan to low heat and stir until the greens are wilted, cheese is melted, and salsa is mixed throughout. And now you have a beautiful breakfast! You can easily eat this with a slice of toast for a completely nutritious and filling meal, but my new favorite way to enjoy these eggs is inside a breakfast burrito. If you want to go the breakfast burrito route with these salsa scrambled eggs, you will not regret it. 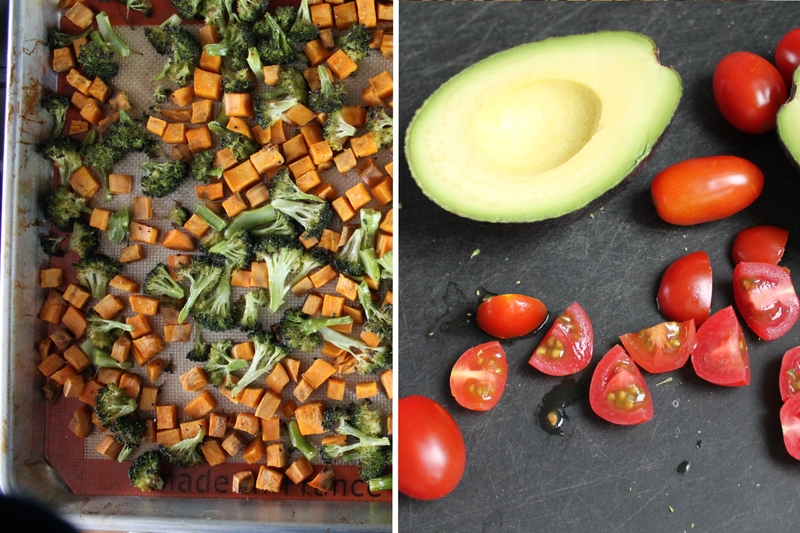 You’ll need some roasted veggies (I love diced sweet potato and broccoli—the sweetness of the sweet potato and the bitterness of the crisp broccoli make a symphony of flavors together! 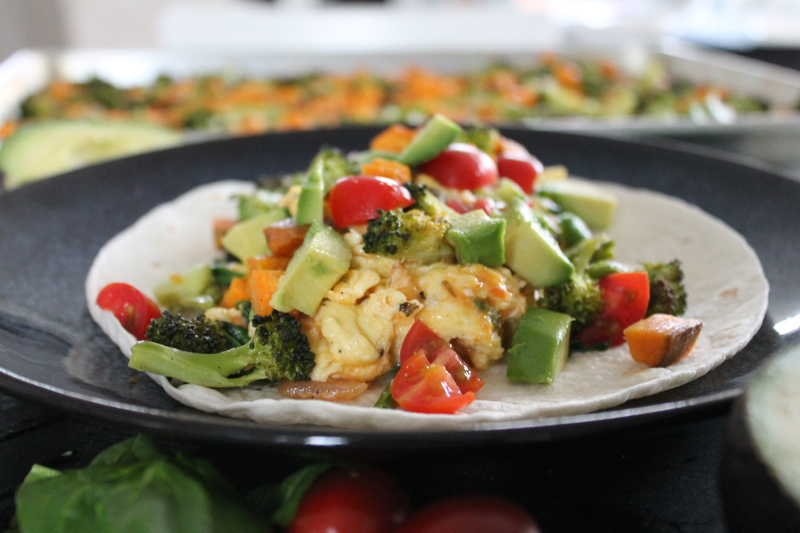 ), a warm tortilla (go gluten-free if you need to! or make it a burrito bowl! ), and any toppings you typically like on a breakfast burrito. For me, this is diced avocado and tomato. Do you like enormously filled burritos? I usually get carried away with mine and then I have to hold them together with a prayer while I eat them. I usually hoard this breakfast all to myself (meaning that in my family, no one eats the same thing for breakfast, so many of my breakfast recipes are just for me), but it is very easy to make a larger quantity of scrambled eggs using a bigger pan, and then simply assemble several burritos at once! This would also work if you like to prep several breakfasts ahead of time, though I would not recommend freezing avocado, so you should store these tightly wrapped in the fridge and eat them within 3-4 days. Toss the diced sweet potato and broccoli with olive oil, salt, pepper, and garlic powder. Roast for 20 minutes, until the sweet potato is tender and the broccoli florets are beginning to char. Prepare the scrambled eggs. In a small bowl, whisk together the eggs, milk, salt, and pepper. 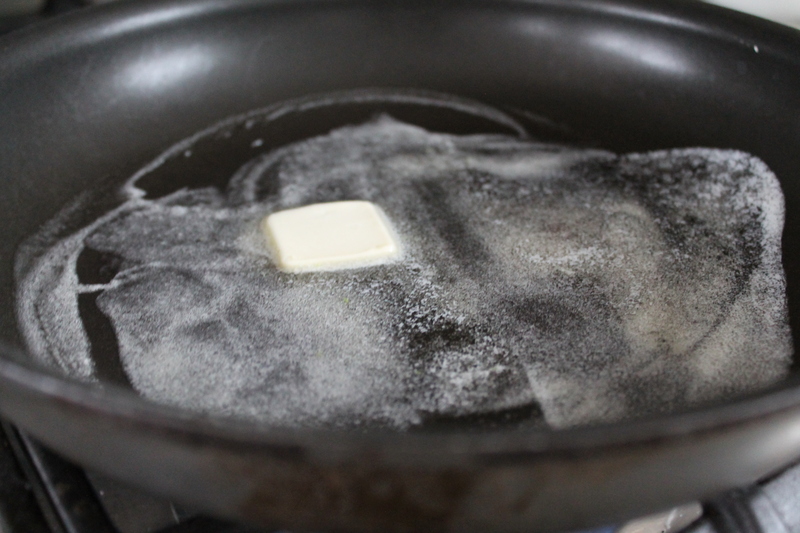 Melt the butter in a large skillet and swirl it around the pan to coat the pan. 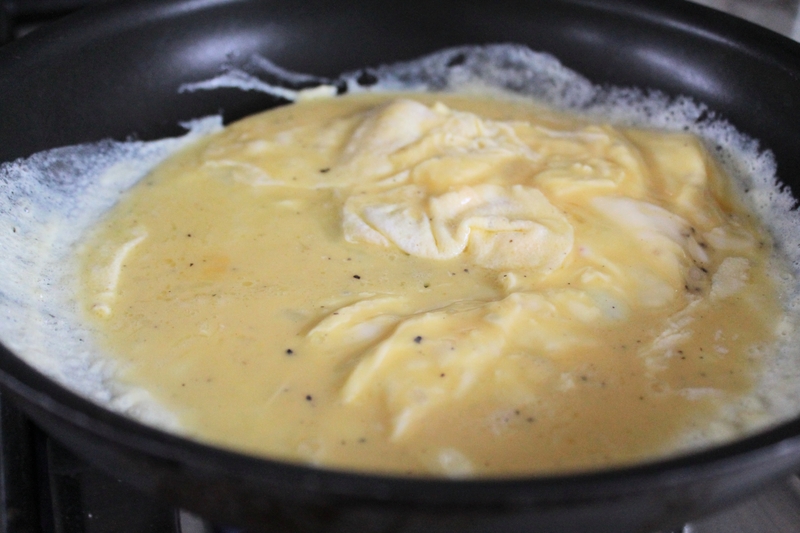 When the butter barely begins to sizzle, pour in the egg mixture. 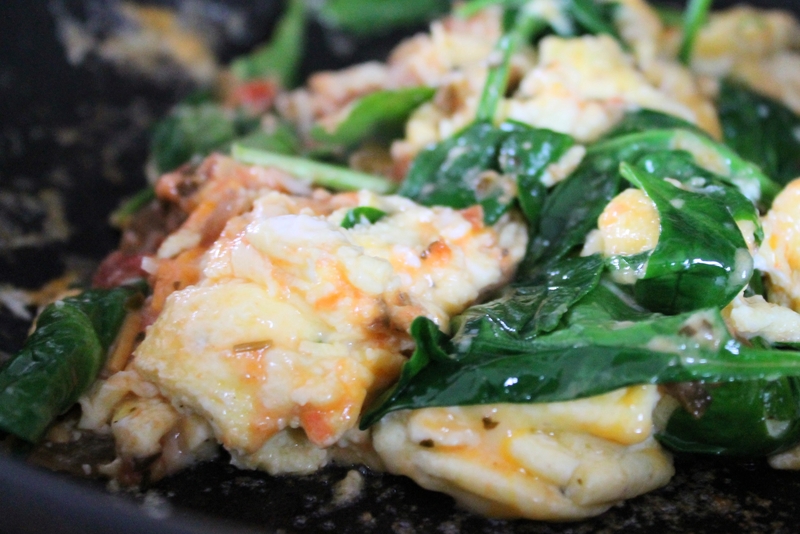 Scrape the bottom of the pan constantly, until the eggs are mostly in chunks but still look very loose or wet. 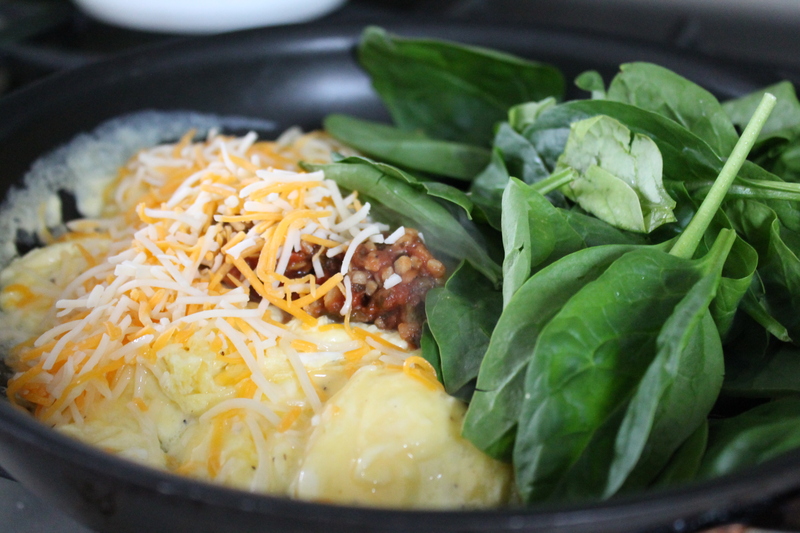 Turn the heat to low and add in the spinach, salsa, and cheese. Stir until the greens are wilted and the eggs are firm. Scrape the eggs out of the pan onto a warm tortilla. 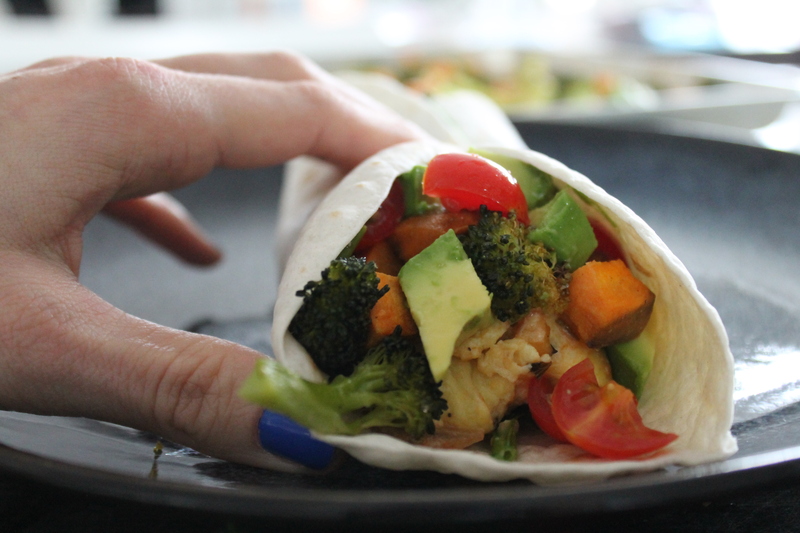 Top with roasted veggies, chopped tomato, and chopped avocado. Add an extra spoon of salsa or cheese if desired. Wrap the burrito up and eat immediately, while warm. Enjoy, and eat your greens for breakfast!